There were a lot of people at Westminster sick of words yesterday, especially those words which came from the lips of Donald Tusk, the Polish President of the European Council. Snowflakes like Sammy Wilson got really ill, effectively calling Donald Tusk the devil himself, and an incompetent one at that. But sure wasn’t he right? Imagine the President of the European Council saying Brexiteers would go to hell! Before we reach Sammy’s level of foam-flecked-moustache indignation, let’s look at what Tusk actually said. We’re back to the partial truth merchants. Those in the DUP and other Great Britons who’ve condemned the President for saying Brexiteers were going to hell – they were right, he did. But that’s only part of the story. He said Brexiteers “who promote Brexit without even a sketch of a plan”. In other words, people who lead millions of British people out of the EU but haven’t a clue what to do when they exit – that’s who he was castigating. And wasn’t he right? In Ireland alone, there’s a suggestion that a hard Brexit could cost 70, 000 jobs in the agri-food industry. There will be equally awful economic chaos in Britain as trucks from Calais to Dover are held up while paperwork and produce are checked. In short, these clueless Brexiteers are going to cause an enormous rift in the economic and social life of millions of Britons and will endanger the peace that came to Ireland with the Good Friday Agreement. For such people, hell if it existed wouldn’t be half hot enough. “I get words all day long, first from him now from you/Is that all you blighters can do?” Eliza went on to sing. All talk and no action. Sounds very much like the quality of British negotiations since the Brexit referendum so, so long ago. We’ll say stuff, then we’ll go back on it, we’ll sign a legally-binding agreement and then we’ll come back and say we can’t possibly do what we signed up to do. 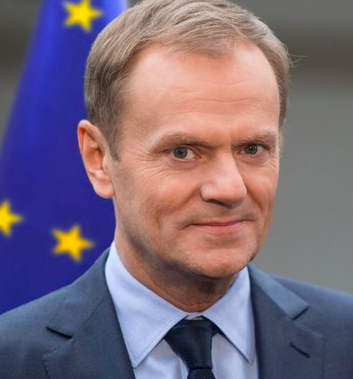 I’m beginning to think Tusk showed enormous restraint.